Robin Mark leads Europe's largest ever gathering of Christian men at the MEN LIVING AS GOD INTENDED conference. Songs include 'Men of Faith', 'How Great Thou Art' and 'All Heaven Declares'. 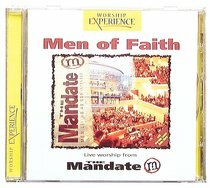 About "Men of Faith (The Mandate Series)"